All Rights Reserved © Little Miss Andrea 2010-2015. Powered by Blogger. 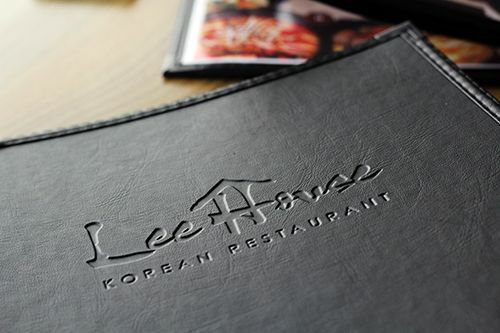 Just as everyone was getting ready for the 2014 holiday season Lee House celebrated the opening of their second location, this one in Chinatown. Offering Korean BBQ, the restaurant is a very welcome addition to the Edmonton food scene, given the lack of Korean BBQ options. Lee House is located along the busy strip of 97 Street, right across from Lucky 97 Supermarket. It occupies the corner of a building and is much bigger than their location off of Whyte Avenue. 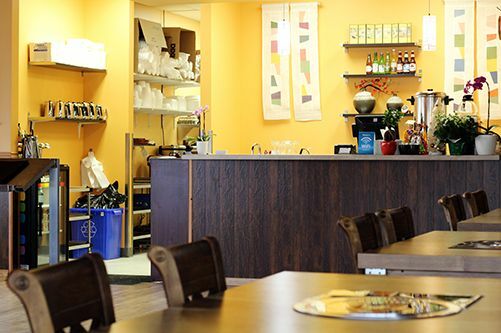 The space is clean and furnished with tables, chairs, and decor straight from Korea. The decor is rustic and each table is equipped with a built in stove for Korean BBQ. With all the changes, I was excited when I finally had the chance to visit. Along with the renovations, Lee House made some big changes to the menu. They kept the classic dishes, like their famous chicken balls, but also added some new ones - most notably, Korean street food, lunch boxes, and more soups. 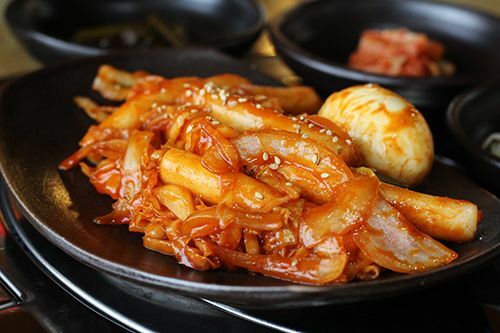 One of my favourite street foods is ddukbokki, a combination of rice cakes and fish cakes in a spicy chili sauce. Lee House's Dubboki ($9.95) features rice cake sticks mixed with fish cakes, cabbage, and onion in a spicy sweet Korean chili sauce and a hard boiled egg. The mixture is gooey and has a nice spicy kick, and the rice cakes are cooked to a soft, chewy consistency. Unfortunately the sauce was too sweet for my liking, as I like my chili sauce to be on the savoury side. The Jab Chae Bokeum ($12.95) at Lee House is my favourite jab chae in Edmonton. 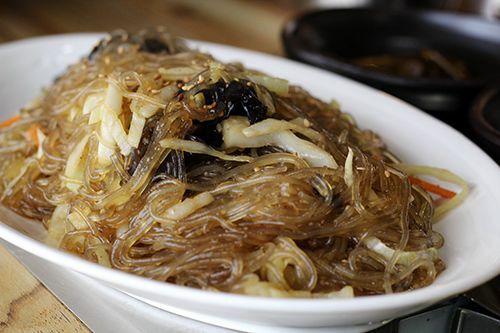 The combination of the sweet potato noodles with cabbage, carrot, onion, and black fungus in a sweet soy sauce is delicious. The noodles are stir fried with the perfect amount of oil so that the noodles don't stick together and it is deliciously garlicky. I love the chewy noodles and always order this dish when I visit Lee House. 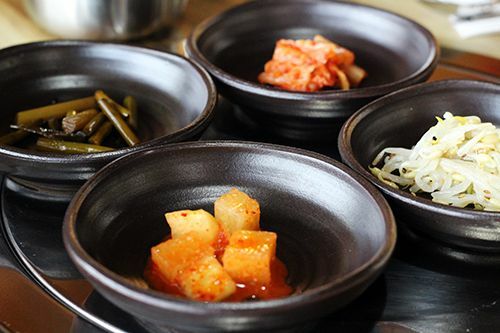 To warm up on a cold day Korean soups and stews fit the bill. The Yuk Gae Jang ($12.95) came to the table in a bright red beef broth with shredded beef brisket, an egg, green onion, and shiitake mushroom. Given the colour, the stew surprisingly wasn't spicy. There was a nice portion of brisket but it felt like the dish was mostly broth. I would have loved if there were more substantial ingredients in it. Overall, Lee House is a welcome addition to the busy Chinatown strip. Customer favourites from the original menu remain, and I'm looking forward to returning to try more of the new ones. Although I didn't try the BBQ items, I would definitely consider ordering some of the dishes for dinner when I have more time. Service is fairly quick, especially with a built in call bell at each table. The Whyte Avenue location recently re-opened following some renovations and I've heard that drastic changes have been made to the menu. Classic dishes are gone, and it's more of a location offering quick food options. So if you're craving your favourite Lee House dishes, Chinatown is the location you have to visit. Oh damn lady! I love korean food but just a bit less than japanese. 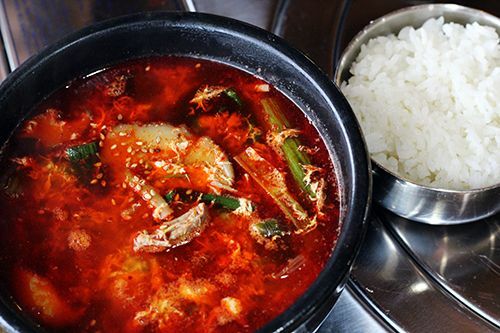 Love the spicy flavors, soups and eating everything with rice! Thank you so much for stopping by! I would love to hear anything you have to say. Hey there! I'm Andrea, an Edmonton-based food & lifestyle blogger. Whether it's discovering hidden gems or dining at new local restaurants, I love eating my way through the city. Come with me and discover something delicious!